Each consultant-client pair works with a framework completely different and distinct from the others. You will watch and listen to them speak of how they work together and hear the benefits of their methods. From this, you will be able to put new tools and techniques into the way you work with others. NOTE: This program starts a little earlier and ends a little later than usual. Of course, if you have to leave earlier than 8:45, that is fine. You will see and learn new ways to support your clients regardless of your role in the field of organization development. You will see new ways of working that give you new techniques and methods to expand your effectiveness. You will be able to expand your own development plan to become more creative, more effective in your professional work. Tim Foley, Director, Talent and Development, Navistar, with Bob Verner, Ph.D., Senior OD Business Partner, Navistar. Jan Viano, Executive Vice President, First Midwest Bank, with Caryn Guinta, Chief Human Resources Officer, First Midwests Bank, retired. Guinta is presently principal in her own consulting firm. 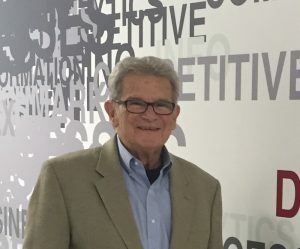 Michael Jacoby, Ed.D., CEO, Illinois Association of School Business Officials, with Stephen Treacy, M.S., OD consultant in private practice, Adjunct Faculty, Benedictine University MSMOB Program. Steve Treacy is a leadership coach, organization development consultant and educator. For more than thirty years, he has helped organizations, groups and individuals be more effective and satisfied in their work. Additionally he consults to other OD consultants on intervention strategies and practice management issues. He has served as adjunct faculty in the Master in Organization Behavior and Management program at Benedictine University since 1989.